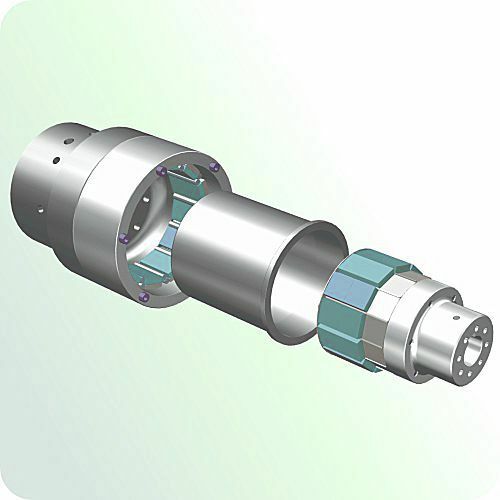 Permanent magnetic couplings for applications transmitting mechanical power between hermetically separate zones preventing fluid or gas leakage from one area to another. 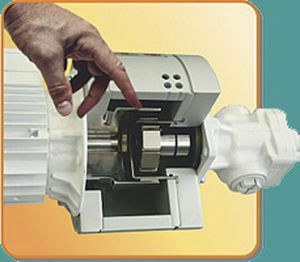 A typical example would be fluid transfer pump applications. In these applications the fluid must not come into contact with the external environment. 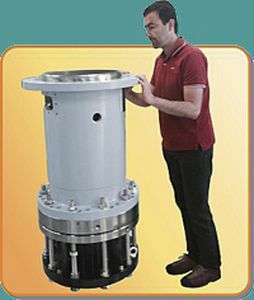 The magnetic coupling works by using the power generated by permanent magnets. These are permanent magnets not electro magnets. » management of misalignment between shafts. » hermetic separation between two areas. » ability to limit a maximum torque. The ability to hermetically seperate two areas whilst continuing to transmit mechanical power from one to the other makes these couplings ideal for applications where prevention of cross contamination is essential. For instance: hydraulic sectors, dosing systems, compressors, sterilizers, industrial ovens, biotechnology, subsea equipment, pharmaceutical industry, chemical industry, food industry, generators, mixers. ATEX compliance (on request) is yet a further advantage for using these excellent power transmission couplings within your system. As showcased at the Offshore Europe 2015 exhibition, stand 3E145, 8 - 11 September 2015, Aberdeen, Scotland, United Kingdom.